When Google released the Huawei-built Nexus 6P in 2015 it won rave reviews from critics, but the teardown experts at iFixit suggested DIY types should stay away. The phone achieved a measly 2 out of 10 repairability score. But this year's Android flagship is much friendlier towards anyone that wants to perform repairs on their own. The Google Pixel XL, the company’s first in-house smartphone design, earned a repairability score of 6 out of 10 from iFixit. For one thing, all screws in the devices are Torx T5, iFixit found, which means you’ll only need a single screwdriver to get to work. The battery is also easy to remove thanks to reduced adhesive and a new battery removal tab. The top design issue that iFixit likes, however, is that many of the components are modular. In other words, you can easily swap out key components without having to replace an entire section of the phone. 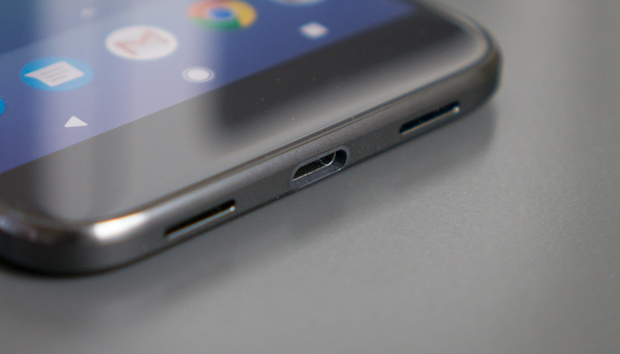 The Pixel XL lost points on the display assembly, which is thin and not well supported. That means it’s easy to damage this component—a problem if your repair depends on removing the display. IFixit also didn’t like that the mid-frame was a pain to remove. The impact on you at home: If taking care of smartphone repairs is important to you, it appears the Pixel XL is a good (if not perfect) choice. Some more DIY-friendly options have released this year, however, such as the LG G5, which iFixit gave an 8 out of 10. If you don’t mind reaching back a generation and searching on Amazon, the repair-focused site also liked the Nexus 5X, which got a 7 out of 10. And finally, if you don’t mind going to the other side, the iPhone 7 is also a good choice for repairability—although you’ll need a mess of screwdrivers.